Rattail cord has a lovely shine. Great for so many applications that I had to stock it in several colors! All the colors I have here are 1mm size and I have used them with great success on kumihimo projects! It would be great with mixed fibers - try hemp and rattail, maybe some yarn. 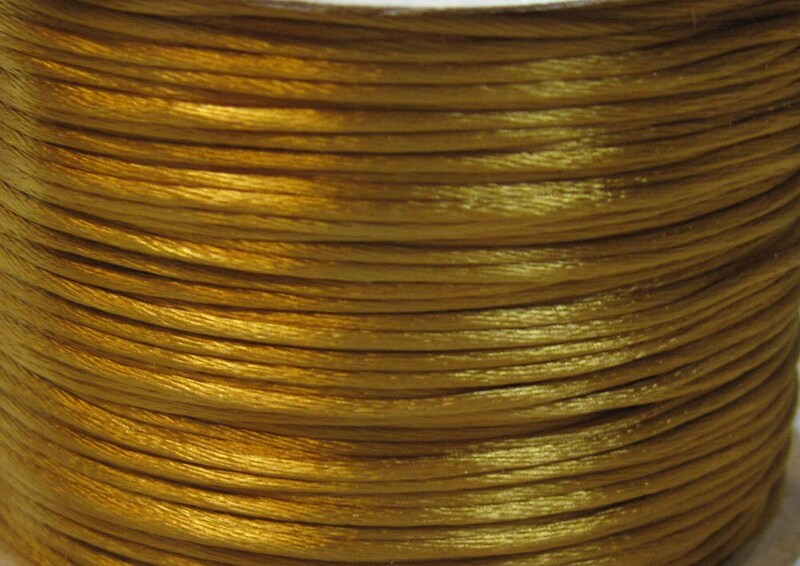 You will receive 6 yards of Camel brown 1mm satin rattail cord. Made in the USA! Lovely shopping experience as usual :) Great packaging, shipping, great products & prices - definitely an A+ seller!